Scanners do not always combine scanned pages to PDF files properly. Often there are empty pages that need to be removed. With TIFF PDF Cleaner you don't need to use PDF editors and delete each page manually - this tool can do it automatically. 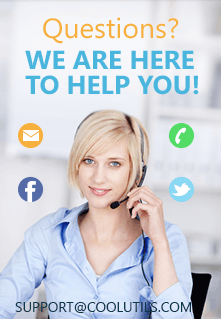 You will save your time, make your PDFs clean and neat within a few mouse clicks. 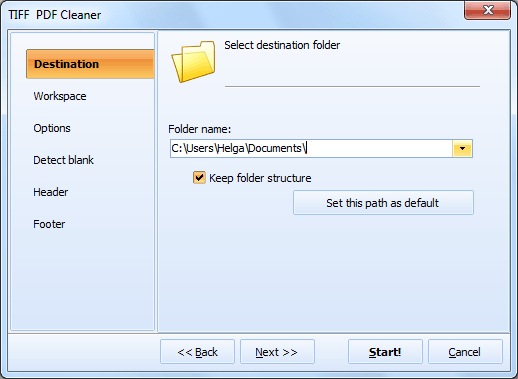 After removing blank pages TIFF PDF Cleaner allows automatic pagination for proper document management. 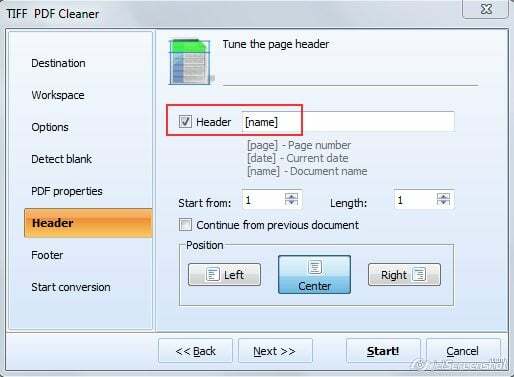 You will get PDF documents without blank pages properly paginated. Agree that it is far easier than manual page deletion and putting page numbers. 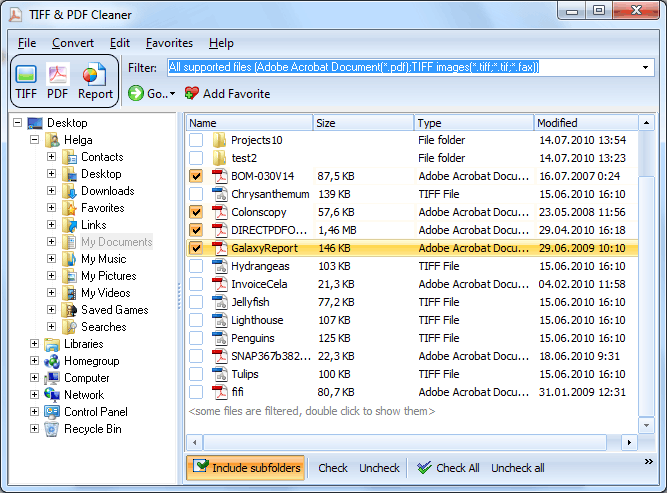 TIFF PDF Cleaner automatically detects blank pages and remove them from source files. As an option, you can save deleted pages into a separate document. By viewing it you can check whether the program detected blank pages correctly or not. By the way, you can adjust the sensitivity of the program - it can detect blank pages with different tolerance. It is a useful parameter for different quality of scanned documents. Using TIFF PDF Cleaner you can also remove black borders from scanned pages, set PDF properties and put security labels. All this is in one pack - download it here!